What makes my tiles so dirty? 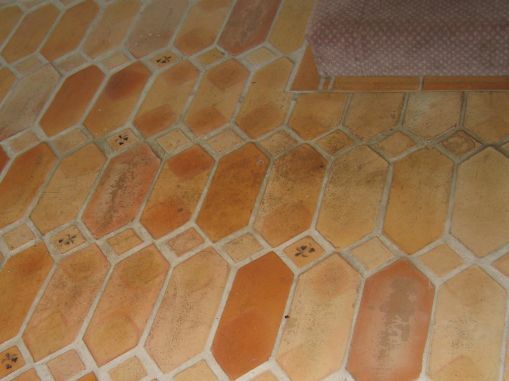 Dirty tiles might be discoloured, have staining, or just look “tired”. This is generally a symptom of age and ingrained contamination. After a few years, every surface is going to have the odd stain, and has probably absorbed contaminants into the tile itself where your day-to-day cleaning is ineffective at removing it. 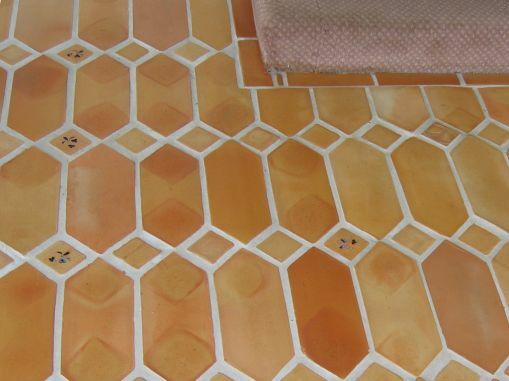 Poor cleaning methods are another possibility – it is ironic that poor cleaning can actually make tiles dirty! Many people don’t realize that flooding a surface with water – particularly a porous surface like sandstone – won’t clean the surface, it’ll actually soak in and make it dirtier. For more on this, visit our "Sticky tiles" common problems page. So how do I get my dirty tiles clean again? You cannot clean stone or tiles in the same way as you would vinyl or wood. Our Keeping your tiles clean section gives a variety of tips and tricks about how to keep your tiles clean. If you need a bit of help to get them back to an as-new condition first, a Slique Deep Dirt Extraction treatment can remove the contaminants from within the surface of the stone and make your dirty tiles look like new again. If you have dirty tiles, you can book a free Slique Consultation – we’ll come and confirm your problem, and give you a quote for our Technicians to professionally restore the surface to as-new condition.